Deutz 912 / 913 turbo diesel engine series. 3 to 6 cylinders. 60 to 192 horsepower. Seals and gaskets, Cam Bearings, Oil Pump, Injector Nozzles, Fuel Pump, Water Pump, Pistons and Rings, Valve Guides, Main and Rod Bearings, Thrust Bearings, Pin Bushings. 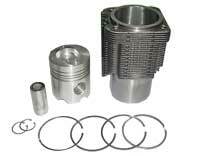 Cylinder Block, Crank Shaft, Injection Pump, Cylinder Head, Camshaft, Connection Rods. All completed engines are operated several hours against typical OEM schedule for partial break-in and full power testing. 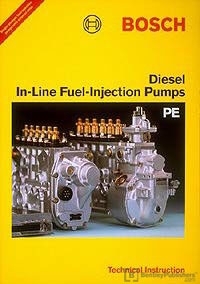 Bosch inline diesel fuel injection service manual. At Logan Diesel USA, our attention to detail is second to none. Unlike other diesel engine rebuilders, Logan Diesel USA performs all diesel engine block machining, diesel engine assembly, diesel engine testing, and diesel fuel injection calibrations onsite. ™ ® © copyright 1999-2017 http://www.logandieselusa.com/deutzdiesels.html All rights reserved.